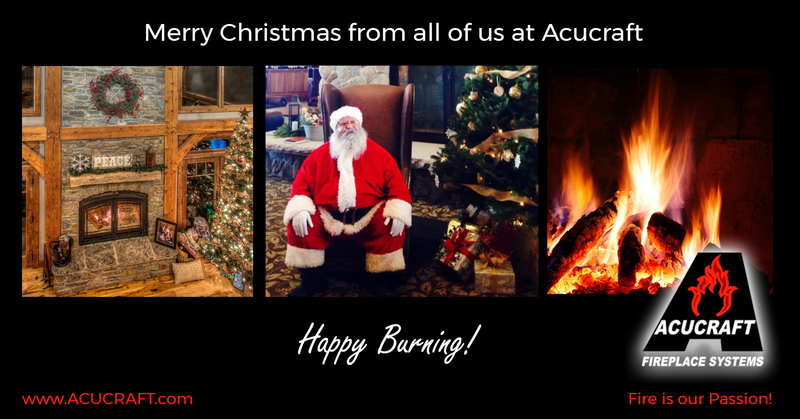 from All of Us at Acucraft! P.S. Remember to open the fireplace doors for Santa! Call Acucraft toll free at 888-317-6499 or Contact Us. Our fireplace is working wonderful and thanks for all your help in making this a reality for Jill and myself. This will be a focal point in our cabin in Northern Wisconsin for generations to come! "